Commercial roofs can develop problems at any time. There are so many outside forces that contribute to the state of your roof. There will come a time when professional repairs are a necessity. That being said, most common roofing issues are preventable with routine maintenance and scheduled inspections. The success of your roofing system is determined by a few factors: roof design, installation, materials, maintenance, and mother nature. We cannot change the weather but we can ensure proper installation, the highest quality materials and a team of experts to properly repair and maintain your commercial roof. Improper Installation: A roof that is not properly designed and installed can lead to an extensive list of issues that will not only negatively impact your roofing system, but could also challenge the integrity of your entire building. Ask questions and request project references to ensure that the commercial roofing contractor you hired is truly up to the task of installing your commercial roof. Neglecting Maintenance: You have spent the money on a new roof so make sure that you are doing everything you can to protect that investment. A commercial roof is not a “set it and forget it” part of your building. A roof that is well maintained is much more likely to reach its expected lifespan. 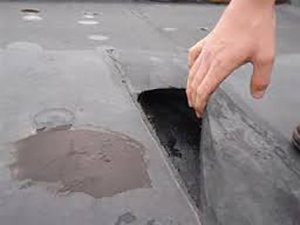 Tears, Cracks, Punctures, or Blisters: With high amounts of foot traffic or extreme weather conditions, certain roofing systems can develop tears or punctures which become access points for debris and moisture. Limit the number and frequency of people on your roof to ensure that your roof isn’t unnecessarily damaged. Repairs Not Up to Par: Commercial roof repairs should always be provided by a licensed and insured commercial roofing contractor. Certain roofing systems require very specific repairs and it is important to have someone who is trained in providing those repairs the correct way. When repaired incorrectly, what was once a minor leak can cause large amounts of damage. Leaks: Regardless of the roofing type, leaks are never a good thing. With regular inspections and preventative maintenance procedures we can catch leaks before they gain momentum and cause extensive damage that could potential damage your business. Ponding Water: Not only is pooling or ponding water a quick way to weaken your roofing system, but the unnecessary weight it adds to your roof can damage your entire structure. This is a common concern for flat roofing applications and requires immediate attention. 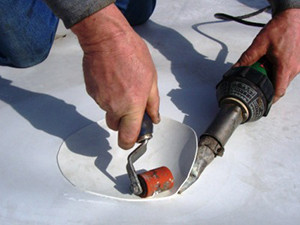 Membrane Shrinkage: When the protective membrane of your roof shrinks it is no longer covering your roof as it should. 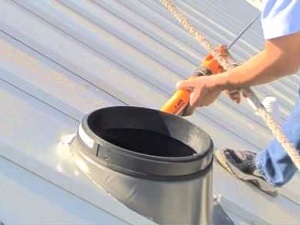 This allows moisture and debris to enter which can quickly and effectively deteriorate your roofing system. If you feel your roofing system isn’t performing as it once did, or if it’s not performing as well as you would like, we are just a phone call away. Please give us a call at (717) 442-0979. We will gladly schedule a time to fully inspect your roofing asset and plan a direct course of action.